Hardcopies from each of the three original trilogy films are highly coveted by preproduction collectors. ESB hardcopies show up quite infrequently on the market, making this meticulously hand painted 4-LOM hardcopy a true rarity and a pleasure to see in the hands of a dedicated collector, like Tracey. Hardcopies, by nature of their construction, are able to be disassembled as illustrated in the above photo. Each seperate piece is initially crafted using a silicone mold derived from the original sculpting. 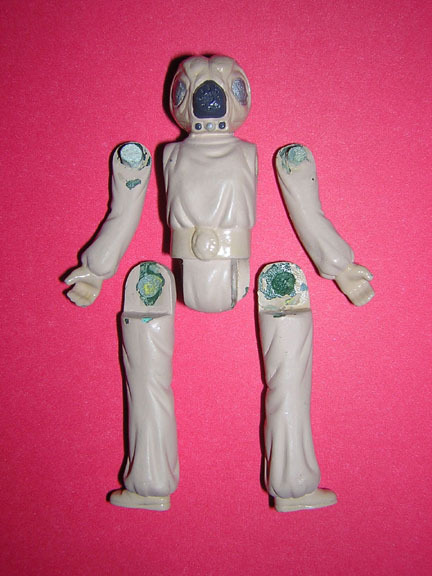 The green urethane, dynacast, used to create the 4-LOM hardcopy clearly shows on the inner arms and legs. 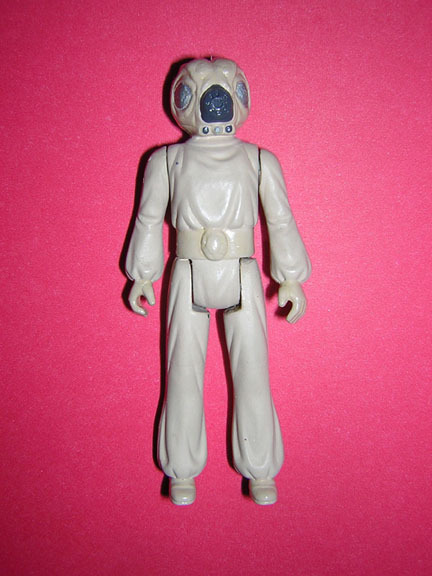 Carbalon, a brown colored urethane, represents the most frequently seen material for Empire Strikes Back hardcopies, however dynacast was employed to some extent during this time period, although clearly not with the frequency seen on Return of the Jedi hardcopies, which are almost exclusively found in dynacast.